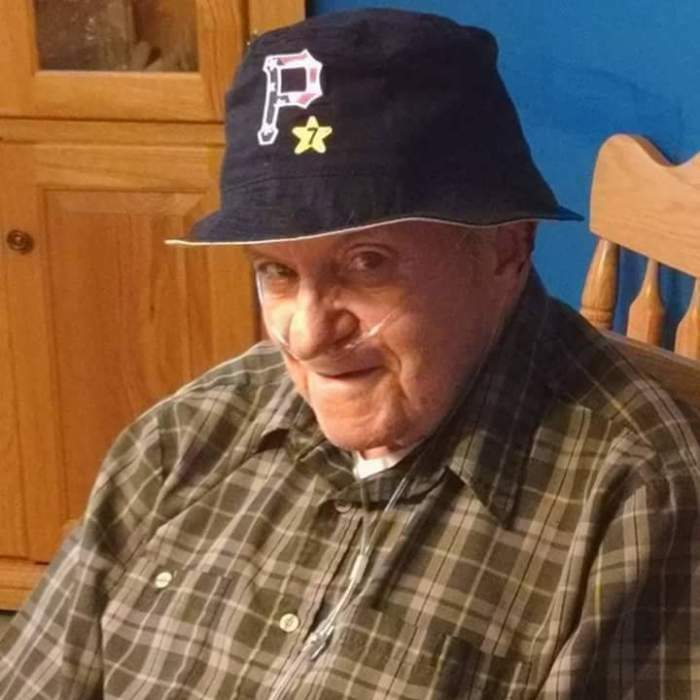 KENNEDY, Thomas B., age 86, of Ross Twp., on April 13, 2019. Husband of the late Sylvia P.
Father of Thomasine Dickey, Mark, David (Teri), and Paul Kennedy, Terri Wiedenhofer, and Lori McCracken (Raymond). Grandfather of Wayne Smith, Ryan Wiedenhofer, Rachel Kennedy, Marissa Dickey, and Thomas J. McCracken. Great grandfather of Adria Staab. Brother of Neil Kennedy and the late Betsy Brown, and Patricia Kennedy. Visitation Wed. from 1 PM until the time of the Blessing Service at 4 PM at the Neely Funeral Home, 2208 Mt Royal Blvd, Glenshaw, PA. In lieu of flowers memorials suggested to Disabled American Veterans, 1000 Liberty Ave # 1606, Pittsburgh, PA 15222.